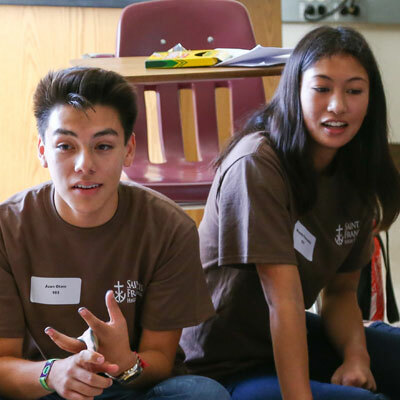 Campus Ministry is a vital component of the Saint Francis program, promoting the school’s Catholic Christian values and Holy Cross mission by unifying the community through liturgies, retreats, service activities, immersion programs and prayer. In the tradition of Holy Cross, Campus Ministry’s programs are inclusive of all faith backgrounds and designed to make every student feel comfortable and welcome. Led by the Chaplain and the Director of Campus Ministry, the Campus Ministry staff also includes four Associate Campus Ministers and an administrative assistant. Inspiration is found all around us. In the tradition of Holy Cross, Saint Francis welcomes students of all faiths and backgrounds. All students are invited to participate in Campus Ministry’s programs. We are proud to be a community that respects and celebrates religious diversity. The entire Saint Francis community comes together once a month to celebrate Eucharistic liturgies and prayer services. 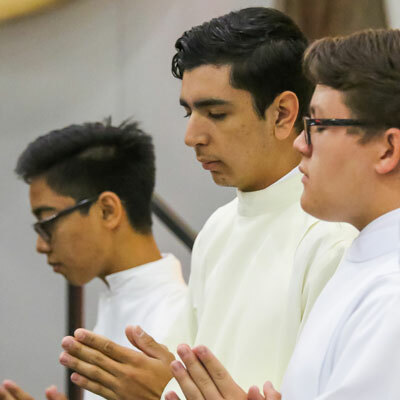 In addition, all students are invited to attend morning collaboration liturgies, which are more intimate services intended to provide students with a personal time for prayer and reflection. Students also have opportunities to participate in the sacraments of Reconciliation and Confirmation. Spiritual development is an integral part of the Holy Cross experience. Our retreat programs give students an opportunity to step away from everyday routines of school and understand the importance of reflection and prayer. Service is a cornerstone of our Holy Cross Service Program and is a graduation requirement that encourages the development of each student’s social conscience. Our program places students in direct contact with various populations of people in need. Students become empowered to bring hope to others and grow from experiences of working with children, people with disabilities, the elderly and the economically poor. 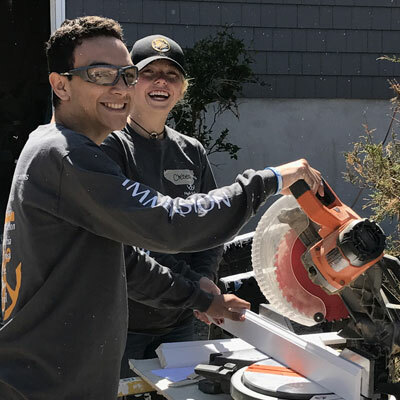 The fact that most students exceed the required minimum 50 hours of service in the four-year program underscores its success. Annually, our students contribute nearly 40,000 hours of community service.